The terms smart home, domotics and home automation refer to the technology able to connect any IoT device, appliance or home automation system into a common network that can be independently and remotely controlled. In plain English, a smart home has a system that allows you to manage lights, thermostat, HVAC, washing machine, TV set, blinds/shutters/curtains, security camera etc from the most powerful tool that we all keep always next to us: our smartphone!! Basic smart home technology (namely lighting control) has been around for several years, but it has only recently caught up with the concept of the Internet of Thing (IoT), i.e an interconnected world, where you have full control of your home from anywhere. We all know the feeling when, we have just sat on our sofa to watch our favourite programme, after a long day at work, but we realize too late that we have forgotten to switch off the lights or shut the curtains! For sure we have our smartphone or tablet next to us. So, instead of getting up, we open a dedicated app in our phone and select a “cinema mode”: the blinds shut, the lights switch off, and voilá le jeux sont fe with just the touch of a finger! Apart from a scenario that pictures as just lazy, there are more serious and practical advantages in domotics. For instance, maximizing the level of home security. 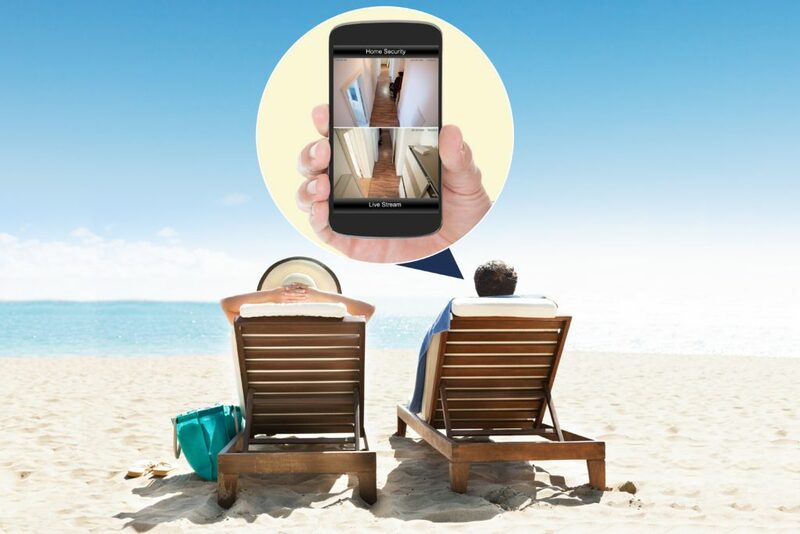 There are lots of options available: from what I call “Alcatraz level” to “Mi Casa es tu Casa” 🙂 Automation systems that connect motion detectors, surveillance cameras and automated door locks throughout your home so you can activate them from one mobile device before going out or to bed. You can also choose to receive security alerts on your devices and monitor activities in real-time whether you’re in the house or anywhere else in planet Earth. Let’s not forget about the energy efficiency. A smart thermostat, for example, can learn your schedule and temperature preferences, and then suggests the best energy efficient settings throughout the day. Similar solutions can be adopted for everything else: appliances, lights, shades etc. This translates not only into a significant money saving in your utilities bills but also, we become “greener” and do something good for the environment by not wasting energy. The above are just some mere examples of what a Home Automation can do. The possibilities are virtually infinite and can be customised around your needs. This is the future and it is exciting to think that we can be part of it right now. Check out our website or get in touch with us for a free consolation. We’ll be happy to show you more about how to upgrade your home and or what Automation can do for you, your family or your business.